What does a teen need? As my first child entered the teen years, I found myself asking this critical question everyday. For decades, parents have wrestled with what to do—and what not to do—when raising teens. Do teens need to be challenged or coddled—or a combination of both? I encourage you to consider these questions instead: Who do they need you to be, and what do they need from you? 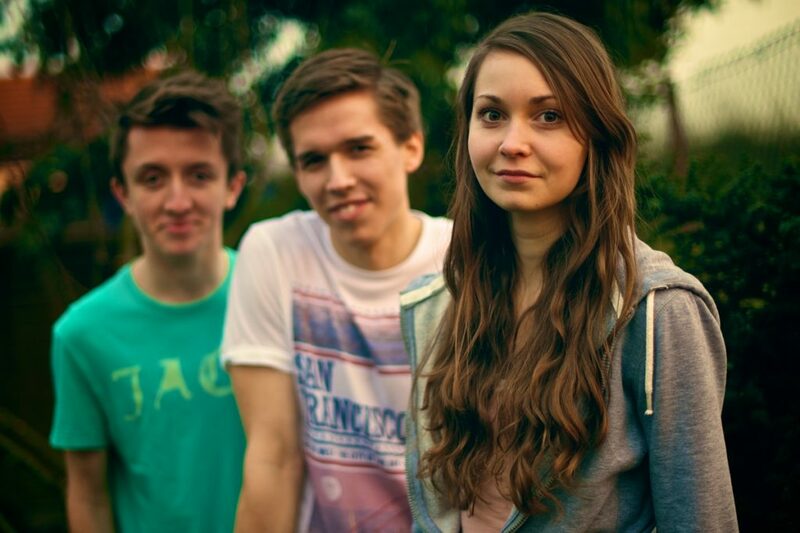 Even though our teenagers are moving toward adulthood, they still need help. The fast-paced world teens are growing up in, coupled with their personal physical changes, can be overwhelming. But our encouragement will get them through. That is why it’s vital to remember they still need us, even when they don’t say it. In many ways, they need us now more than ever. Until now, you’ve known how to be the parent your child needs. Protect them from danger. Be responsible. Be available, or try to be. Stay aware. And you’ve upheld your end of the deal. Chances are, you’ve done a good job of parenting! But with every passing day, your confidence gets shaken and your joy turns to frustration. One morning, your teen adopts an attitude as they head off to school. You question whether you did something wrong. Then you assume they must just be having a bad day. A few days later, they “forget” to say good-bye or give you a hug when they dash out the door for practice. Then they start grunting instead of saying good morning (as they’ve done since preschool). What is going on? You scratch your head and wonder what your teen needs from you now. Keep in mind that adolescence is just a phase. Your child’s basic need for protection, responsibility, availability, and awareness from you remains the same. But the way they need you changes. Yes, change often comes suddenly and without notice. I remember being caught off guard when some of my kids stopped coming up to me after a game to give me hug. I experienced a range of emotions: hurt, anger, resentment, and frustration. But I realized that each child needed me differently than they used to. In my book, I talk a lot about what it takes to build a strong relationship with your teen as you prepare them for adulthood: easing up on rules and letting them apply the principles they’ve learned. And yes, to parent well in this season, you must—and must continue to—provide freedom and space for your child so that they make healthy transitions from childhood to adulthood. But I would be remiss if I didn’t reiterate the importance of providing protection and guidance during this critical season. Teens still need protecting. A wise parent doesn’t turn her child loose to do as he or she pleases. Good parents provide healthy protection for their children, not to keep them from failing or trying but to keep them from unforeseen harm. We do this by being aware of our children’s peer groups and of hidden dangers our children may face. Teens are easily influenced by what they hear and see, especially from their peers. This is evident by the way they stress over clothes, friends, and music. They are too young to realize they are being influenced, yet they are old enough to understand how much friends matter. Why do we need to protect our children from the wrong peer groups? Because those teenagers influence our kids. Honestly, we are all influenced to some degree by what our friends do or say. If we aren’t careful, our teens could end up following others instead of doing what they know is right. We are warned of this in 1 Corinthians 15:33. The apostle Paul wrote, “Bad company corrupts good morals” (nasb). I’ll never forget the morning my son Paul called us to ask if we knew where his car was. What an odd question! It was supposed to be in the driveway. He then told us that the police were at our front door. They had found his car in an orange grove, stripped of all electronics and burned to a crisp. Once we recovered from our shock, we asked for more details. The officer said it appeared to be part of a gang initiation. Kids will do daring, even illegal, acts if it means gaining acceptance to something or from someone. The opposite is also true. Teens can be persuaded to commit acts of kindness due to the influence of those around them. Peer groups influence teens either for good or for bad. Your discernment and willingness to be engaged play a vital part in helping your teen avoid peers who won’t bring out their best. 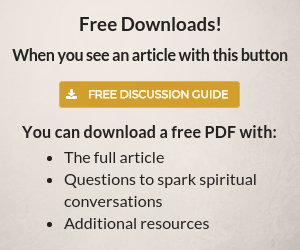 Download 9 Parenting Hacks for Building Into Your Teen. As a parent, you are well aware of the dangers capable of hurting your child, causing division, and destroying relationships. These dangers will vary based on the child and the situation, so it can be helpful to have a larger perspective of your role, no matter what you and your teen encounter. Dad and I provide shelter and protection from the storms of life and from everything you need protection against, including the things you can’t see, issues you are unaware of, and dangers that can harm you. We are the tree. Each part of the tree serves a purpose. The leaves provide a reprieve from the hot sun and offer shelter during an afternoon shower. The branches are for those who need rest from flying, providing a safe place to rest until they are ready to take flight again. The trunk supports the branches and leaves. If the trunk is weak, the tree will be blown around in a storm and won’t provide reliable protection for those in need. The roots are the true strength of the tree. If the root system is not deep, the tree will fall during the mildest storm. 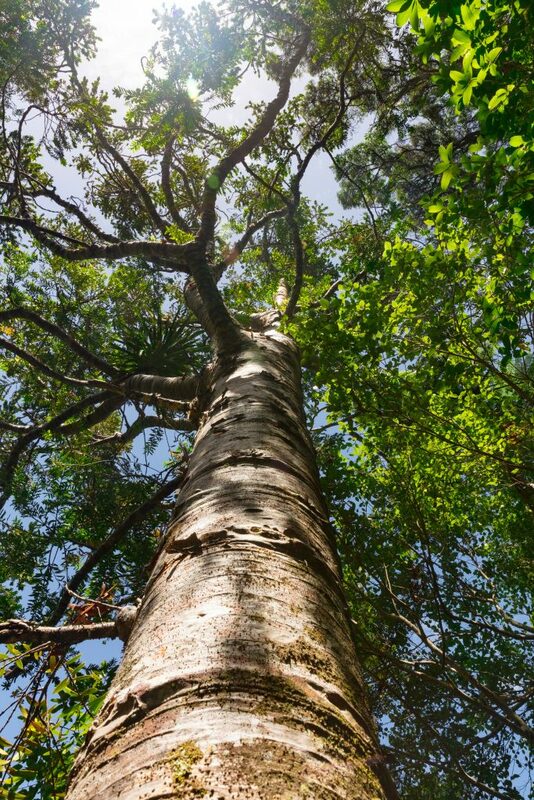 The roots also provide nourishment to keep the entire tree healthy. This example of a tree has several useful takeaways as we consider how to protect our kids from the various hidden dangers they’ll encounter. First, we need to take care of ourselves as individuals. Second, we must take care of our relationship as a couple. Third, we must focus on teaching our children when to venture out and when to rest. If you neglect taking care of yourself, you get weak. When you get too busy with life to take care of each other, you both get weak. When you are weak, you aren’t alert to what your child needs; thus, they become weak. Once your child understands how you offer protection, you can explain how they will benefit from this protection if they are willing to. A wise person knows when to seek shelter and when to venture out; a foolish person acknowledges the value of a tree but refuses to take refuge under it. Click To Tweet In the same way, parents give freedom to do certain things, but with this freedom, the child is required to show responsibility and discernment. Their wisdom is measured by the choices they make. You can’t protect them if they aren’t wise enough to seek your help. As your teen becomes older and more mature, they should venture out. This is when they put into action everything you’ve equipped them with. They are ready! Should situations become unmanageable, however, they know you are there for them. You must find the delicate—and crucial—balance between letting your child take risks and protecting them from harm. Help your child understand that you not are trying to keep them from venturing out—you are trying to protect them from dangerous situations they might not be ready to handle. They may feel you are overprotective, but how you communicate your thoughts can reveal your good intentions. As you reinforce this by your actions, they come to learn that this isn’t about you adding restrictions but about expressing your love for them. As your teen gets older, protecting them from hurt, harm, and destruction becomes more challenging. They believe they are smart and capable enough. Some think they are invincible. They won’t be able to avoid every hidden danger, and you won’t be able to keep them from those things. But if your child knows you are there for them, even if they stumble, you are filling one of their greatest needs—protection—during this season of life. 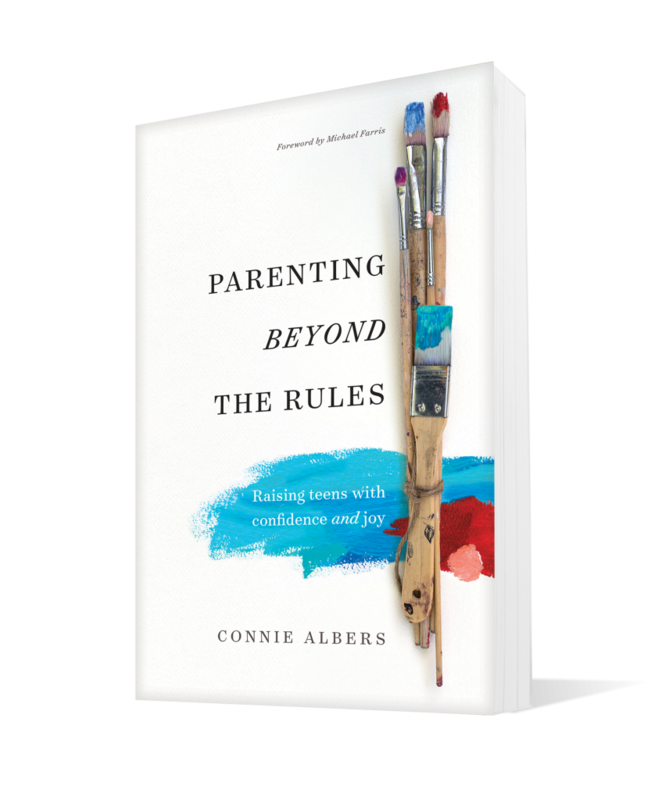 You just read an excerpt from Chapter 10 in Parenting Beyond the Rules: Raising Teens with Confidence and Joy by Connie Albers. Read the first chapter here. To learn more about the book or buy on NavPress.com, click here.